The Following is from Dominic King, et al “Redesigning the ‘choice architecture’ of hospital prescription charts: a mixed methods study incorporating in situ simulation testing” BMJ Open, Volume 4 Issue 12 (2014). The prescription and administration of medicines is the most common therapeutic intervention in healthcare settings. Medication errors are common. Such errors are of concern, as they can have a significant impact on clinical outcomes and come with a heavy cost burden. Given the impact of medication errors, efforts have been directed at identifying when they occur and how they can be avoided. Medication errors are generally classified by the stage at which they occur: prescribing, dispensing or administration. Safe and effective prescribing of medications requires the ‘identification of the need for a drug and selection of the correct drug, together with the route, form, dose, frequency and duration, for the individual patient’. Prescribing has been identified as the stage at which most errors occur and is thus an important target for improvement. 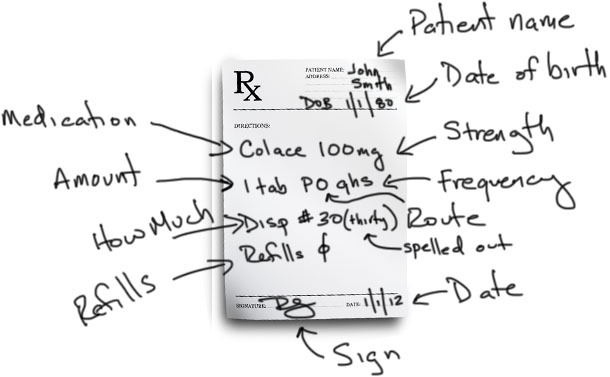 Prescribing errors are a common occurrence in hospital inpatients, affecting an estimated 7% of medication orders, 2% of patient days and 50% of hospital admissions in hospitals using paper-based prescription charts. 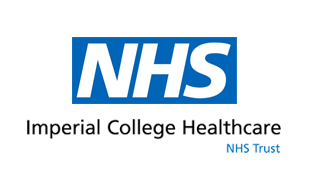 The IDEAS study took place at Imperial College Healthcare NHS Trust (ICHNT), a large London teaching hospital trust with three main hospital sites. This trust operates a typical UK model for the prescribing, supply and administration of medication, in which prescribers handwrite medication orders onto a formatted inpatient prescription chart. The same prescription chart is also used by nursing staff to determine what medications are to be given to each patient, and to then record their administration. Charts are routinely reviewed by pharmacists to check that medication orders are legible, legal and clinically appropriate. The existing chart in clinical use is here referred to as the ICHNT chart. The multidisciplinary project team comprised four physicians, two behavioural scientists, four pharmacists and two graphic designers. The project took place between August 2011 and September 2013 and comprised three parts: (1) an exploratory phase to identify problems associated with current inpatient prescription charts; (2) iterative design of the IDEAS prescription chart; and (3) in situ simulation testing of the IDEAS chart in comparison with the ICHNT chart. The study was approved as a service evaluation within ICHNT; ethics approval was not required. Written consent was obtained from each participating healthcare professional. All data collected were anonymous and confidential. In the exploratory phase, the different prescription charts in use across the NHS as well as the 40 completed prescription charts were subject to evaluation against the predetermined criteria. Focus group and observational data were thematically analysed and agreement sought between two reviewers over key findings. In reference to the charts completed in the insitu simulations, one physician and one pharmacy student separately examined the prescription charts. Data were entered into Excel and then transferred to SPSS (V.22.0. Armonk, New York, USA: IBM Corp) for analysis. For each of the different prescription tasks, we wanted to test whether there was a significant difference between the IDEAS and ICHNT charts for a range of different outcome measures (eg, completion of information on indication or duration of anti-infectives, ability to identify the prescriber). Fisher’s exact test with a Holm-Bonferroni correction was used to correct for false-positive results arising from multiple comparisons. This allows for a family-wise significance level of 0.05, while maintaining good power. A total of 29 foundation year doctors working at one hospital completed the evaluation; 14 completed the IDEAS chart and 15 the ICHNT chart. There was no significant difference between the numbers of medications prescribed on the IDEAS chart compared to ICHNT chart (164 of a possible 168 orders, vs 174 of a possible 180 orders; p=0.6). There were key differences in the degree to which medication orders were completed correctly using the two different charts. Medication orders on the IDEAS chart showed a statistically non-significant improvement in legibility (164/164 vs 169/174; p=0.0611). Medication orders on the IDEAS chart were significantly more likely to include correct dose entries (164/164 vs 166/174; p=0.0046) as well as contact information of the prescriber—both printed name (163/164 vs 0/174; p<0.0001) and contact/bleep number (137/164 vs 55/174; p<0.0001). Current prescribing guidelines specify that the prescriber should chart the frequency of medication administration and this was significantly more likely (120/164 vs 15/174; p<0.0001) on the IDEAS chart. There was no significant difference for the presence of signatures by prescribers (163/164 vs 171/174; p=0.344) or in the documentation of allergy status and reaction. We measured key outcomes related specifically to prescribing of the two antibiotics in the simulated case. The IDEAS chart significantly outperformed the ICHNT chart in prescribers indicating the duration of course (26/28 vs 15/29; p<0.0001) and the indication of anti-infective use (28/28 vs 17/29; p<0.0001). The IDEAS prescription chart—at least in a simulated context—significantly reduced a number of frequent prescribing errors including dosing errors and illegibility. It also served to increase prescriber identifiability and enhance information documentation in relation to antibiotic prescribing. Significant and positive changes in prescribing behaviours took place without the need for extra training and education. A wider clinical evaluation is required but the learning developed through the IDEAS project could contribute to better-designed prescription charts that facilitate improved prescribing.